Having Dalene’s Book Review review and post my opinion about your novel is a great way to inform my readers about your story and website. If you request a review, expect an honest review and rating. Reviews from me are opinions, not book promotions. I accept review requests from self-published authors, published authors, publicity groups, indie authors, small publishers, and major publishers. I will look over the information about the book and author. It usually will take me 1-2 months to read and review a book. Please note: At the moment my expected time for a review is approximately 8-12 weeks. I take books in Bound Copy (including ARCs), audio cd, ebook in Nook format and Kindle format, and PDF’s. I prefer books in print format and usually give review preference to books received in this format. The reason being is, for ebooks I have to read them on my computer, I am with a four and a half year old and a one year old every day, it is far easier to carry a book to read when I am taking care of my grandchildren. I get hard copies read far quicker than ebooks for the reason just stated. In order for Dalene’s Book Reviews to review your book, you must send a non-returnable book, audio CD, or e-book written/spoken in English for me to review. I always give my honest opinion in my posts and I won’t claim to like something that I have not read! If I read at least the first 5 chapters of the book but discontinue I will either write a semi-review with reasons why I could not continue reading it or just post a book spotlight. I do this because I realize that while I might not have been able to get into it, someone else might. I follow a typical 5 star format for rating. 5 of 5 stars=I LOVED this book! A must read! Definitely a book I would reread! 4 of 5 stars=I really liked this book! A great read! This book was like good chocolate, but without the guilt! 3 of 5 stars=I liked the book. A good read. I enjoyed it while it lasted but won't be revisiting its pages anytime soon. 2 of 5 stars=I feel neutral. A fair read. Take it or leave it fellow bibliophiles. 1 of 5 stars=I did not like. It took herculean willpower to reach the final punctuation mark. I do my best to explain my rating fully in the review. *Note on 3 Star ratings* A 3 star rating is NOT a bad rating. 3 stars means the book was average, and overall I liked the book. 3=good. ~ Review Copies ~ are books that I received free of charge from the author or blog tour provider in exchange for an honest review. 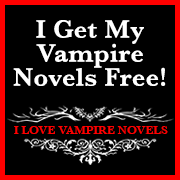 ~ Contests & Giveaways ~ are books that I won through various contests and giveaways. ~ Books I Bought ~ are books that I purchased for myself. ~ Books I Borrowed ~ are books that I borrowed from the library. ~ Gifts from Friends and Family ~ I think this one is fairly self explanatory. Currently, reviews are published to the blog, Amazon.com, Barnes and Noble.com, and Goodreads.com. If the review has been requested from an author or publisher, it is always posted in all four locations. I may post in other locations upon request. I will eventually have all my reviews on LibraryThing and shelfari as well. Links to the reviews are also posted on Facebook (both personal profile & Dalene’s Book Reviews Facebook Page), Twitter (@DaleneKRodman) and Google+ (Dalene Rodman). 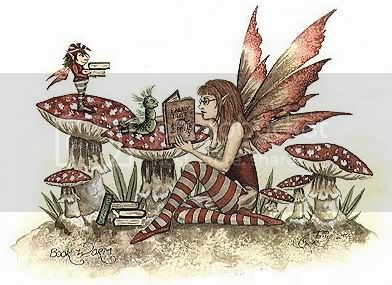 Dalene’s Book Reviews also has Bloglovin, Networked Blogs, Linky, RSS readers & e-mail subscribers who receive notifications of the latest updates. I enjoy hosting author guest posts, interviews, and host giveaways. If you are interested in being featured, please contact me for more details. Author interviews and guest posts are another way to get exposure to readers. Interviews and guest posts MUST be received AT LEAST 3 days PRIOR to the scheduled date. Authors and guest writers may send me links, videos, and any images for their scheduled post. If an image or video is VERY graphic (very sexual &/or extreme violence) I will only add a link to the location with a warning that it is intended for those 18+ yrs old. I will not post the actual image/video on Dalene’s Book Reviews. All content is copyrighted by Dalene's Book Reviews. 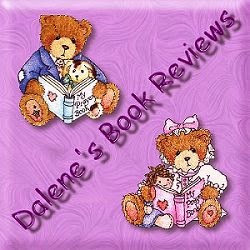 If you re-post any part of the review, please credit Dalene's Book Reviews. Blogger's Tip: If you want to increase the number of hits on your review, consider coupling it with a giveaway. Even a single ecopy of a book more than triples the hits on the review, generating greater interest. Another great way to spread the word about your products (books, audio books, ebooks, book accessories, etc) is to sponsor a reader giveaway. I will ask you to send a book copy and/or any other giveaway item first as compensation for my time, and then you will hold products aside to ship directly to the giveaway winner(s). I’m very flexible with giveaways, simply let me know what you would like me to give away, how many of each item, who can enter, and for how long you would like to run the giveaway (otherwise I will run the giveaway through the remainder of the month it’s scheduled). I will run the giveaway via Rafflecopter, collect the addresses, and forward the winner’s information to you for direct shipping. Giveaways are VERY popular and great when accompanying a guest post or interview! Scheduled blog tours, author interviews, and guest posts will receive high priority over other book requests. I do my best to try to read/post all ARCs before the release date (you must let me know when it’s scheduled for release). Reading materials MUST be received AT LEAST 2-3 WEEKS PRIOR (preferably earlier) to the scheduled review date. If they are not received in time, a review may not be posted on the scheduled date. Each post will include the book cover, link to author website, link to purchase, book summary, and my personal thoughts about the book if it is a review. Authors and guest writers may send links, videos, and any images for their scheduled post. If an image or video is VERY graphic (very sexual and/or extremely violent) I will only add a link to the location with a warning that it is intended for those 18+ yrs old. I will not post the actual image/video on Dalene’s Book Reviews. *Any books sent me are to be considered gifts and should not be considered as income for any purposes and will not be returned unless expressly stated by the gifted. Print books may be given away as prizes on this site unless otherwise stated by the publisher. I do NOT receive monetary compensation for my reviews. • A book or e-book IS REQUIRED for compensation of my time to host an author whether I review it or not. • Any and all items I receive are non-returnable and will not be used as the giveaway item(s) or sent back.